With over 35 million cannabis enthusiasts in the US, High There! makes it easier than ever to connect with people you share a mutual interest with. Meet new people that you already share something in common with -- keep it chill or get lit. Wherever you go, you can connect with like-minded individuals. Whether you’re here to expand your social network of canna-enthusiasts, meet new people that get your vibe, find locals in an area you’re visiting, or even meet experts that can make product recommendations for something specific you’re looking for, you’ve come to the right app. High There! is fun and easy to use. Meet other cannabis enthusiasts from around the world, respond (or not) to invite requests, and start chatting with your new community of friends instantly! And just like every cannabis enthusiasts wants, there’s no stress about rejection in our community. For those that don’t get out much, frequently find that they can only talk to like-minded individuals, or for those that just want to meet new friends, High There! is a community app that sates many different thirsts. When you socialize with people that share your same interests, and that are right at your fingertips, life is good! Spark something new, with someone new. Download the High There! 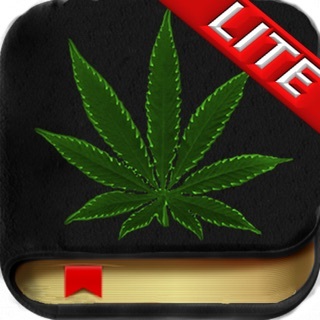 app today and make a connection with over 1 million like-minded cannabis lovers. - Improved user interface and experience. - On a scale of 1 to 10 Vibe Rater shows who you’d vibe-with the most. - Invite friends to join you on the app via Facebook, WhatsApp, Twitter, Text, Email. - Bug and performance fixes (Woohoo!). I love the app and it’s a great way to find people, but 1. The login is no longer working for me or my boyfriend, and clearly several other people as well. This app is awesome in theory. But I’ve had for about a week and it freezes, crashes and won’t always show the messages that I just got a notification for. Been trying to get in contact with someone and I cannot. Last night I got a notification of a message, went to open it this morning, app signed me out and won’t let me log back in. I realize it’s a free app but at this point it feels like a waste of space on my phone due to its reliability. If the kinks get worked out, my review would be five stars. Again, concept is awesome and amazing to connect with others when it works...but it is not consistent and I don’t want to invest time in it if it continues to fail. Hope things get worked out. So this app has been around for a few years now and I can’t believe there’s still very basic bugs they haven’t been able to fix. Notifications not disappearing, peoples names still showing up on your list after you passed on them, if the person you’re chatting with starts to type while you both have the window open the whole app gets really laggy. Crunchbase says they’ve had over $700,000 in investments but the app still performs like it was coded by 1 guy in his college dorm. After the most recent update it no longer lets me login.